This is the premier prize in the club and many different cups have been used over the years. The first two were the STARK cups, the first of which was won outright by James Simpson. the second STARK cup and the first HALKET cup were won outright by the legendary Jock Brown. When Jock won his second cup outright in 1913 the club rules were changed. Instead of the trophy being given to any member who won the cup on three occasions, the new rule started that the cup should only " ... be the property of any member winning the championship on three consecutive occasions ". This has never been achieved since Mrs P Halket donated the second HALKET cup in 1914. At the end of the 1980`s the HALKET cup was damaged and the members played for custody of the MITCHELL BROTHERS trophy. Once repaired the committee decided that the HALKET cup be reinstated for use in 1995, with all the winning names from the intervening years engraved to continue the link to the club`s long history. Arguably the most handsome trophy awarded by the club, it is certainly the oldest. This is the first STARK cup, won outright by James Simpson, according to the club rules in 1902. Forty two years later in 1944, through the offices of secretary John B Gillies, it was donated back to the club by Mr D.G. Dickson. It was to be played as " a single handed tournament " and renamed the STARK_SIMPSON cup. Awarded anonymously to the club in 1959, it is named after the tenement building in John Knox Street, facing the club. 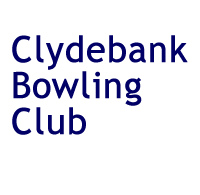 It is played as a single handed tournament which is open to all club members who have been members for 10 years or less and who have never won a single handed tournament in the club. It was actually presented by former President and Champion, John McIlroy, who was a member for over 45 years. This was also presented anonymously to the club in 1959 and is the prize for the Open Pairs Tournament. It was in fact designed and made by club member Dougie Thomson. This cup replaced the NICOL trophy which was to " be placed in a glasscase in the main hall ". This is the prize for the Club Pairs, a ballotted competition confined to the club members. It was presented by Provost James Queenan to commemorate the service to the club of P.J. Kearns during his 56 years of membership. It is fitting that the first winners were James Queenan and George McLaughlan. This is awarded to the winners of the Triples competition. It was first played for in 1973 to commemorate George McKain M.M, a former President of the club. 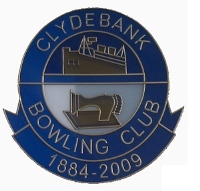 This is awarded to the winning rink and was first presented in 1966 to commemorate William Dempster, who died in office as Club Secretary in 1965. It was presented by his family to perpetuate his name in the club. This was donated to the club in 2003 by the family of Andy Paton, who died in office as Club Secretary in 2001. This is played as a single handed competition but is played as the best of three sets instead of the traditional form of " 21 up ".